Demeter | Take Back Halloween! 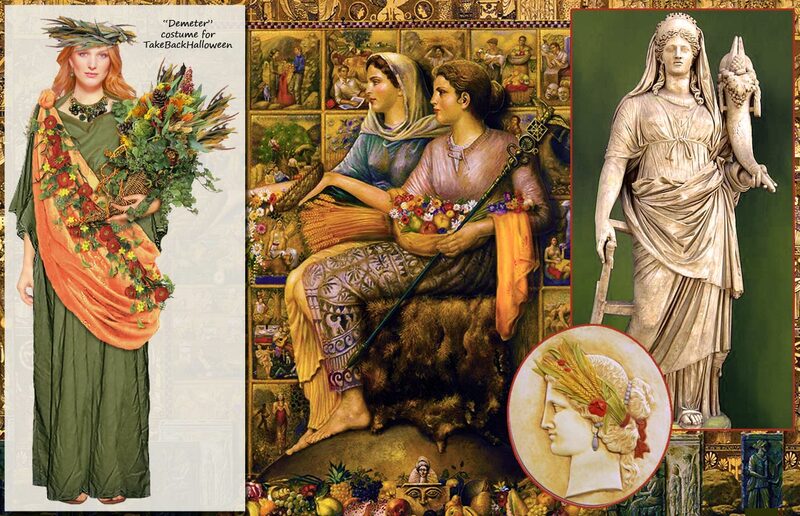 Demeter is the Greek goddess of agriculture and the bountiful earth. It is she who makes the crops grow—except for those months when her daughter Persephone is in the Underworld, for then Demeter weeps and leaves the earth bare. Together Demeter and Persephone represent the cycle of life and death, and their saga was the basis of the Eleusinian mysteries. Frequently the two goddesses are shown enthroned together, as in our illustration above. Demeter herself is invariably depicted with sheaves of wheat, and sometimes she holds a cornucopia overflowing with the fruits of the harvest. 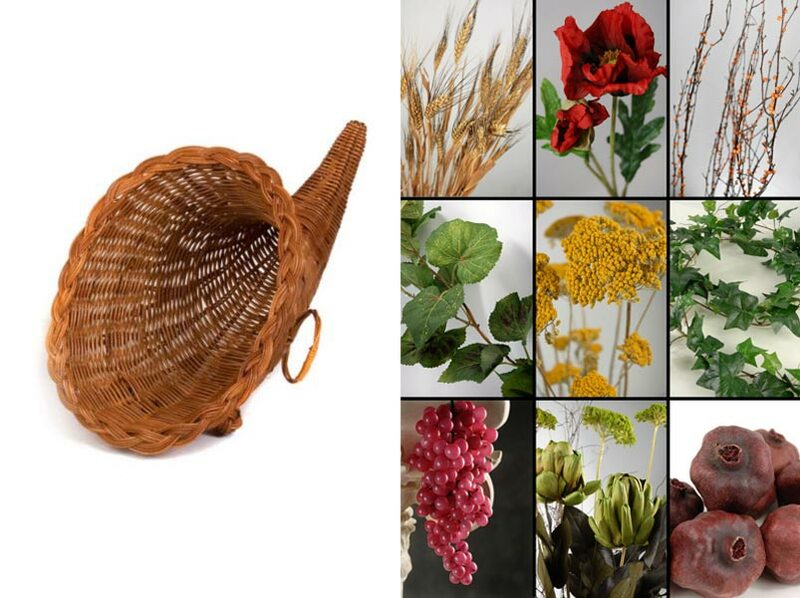 Her colors are earthy greens and golds, though like Persephone she is also symbolized by the vivid poppy flower. 1. 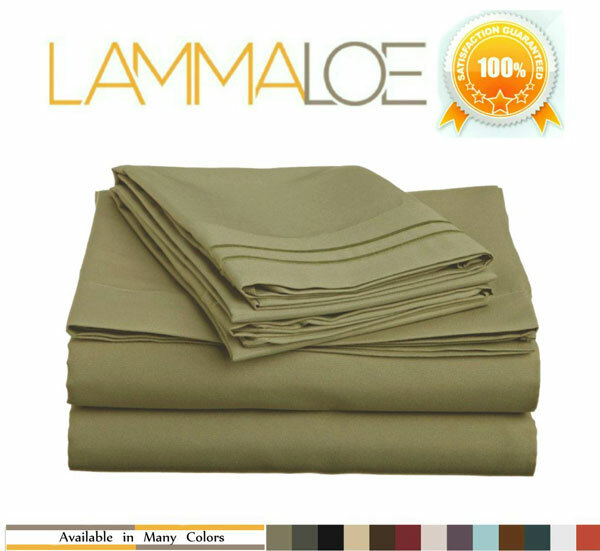 Green flat sheet . This is for your tunic. The Greeks wore simple draped tunics of dyed wool, a look which is easily replicated with sheets and safety pins. We give you instructions below on how to pin it together. 2. 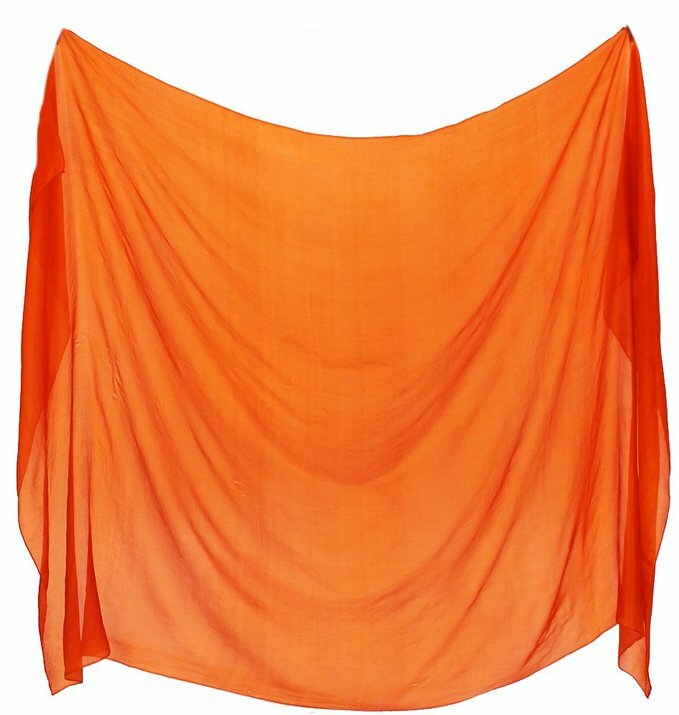 Orange silk veil . Loop this under one arm and knot it on your opposite shoulder. 3. Poppy garland . Layer this on top of the orangey-gold veil. 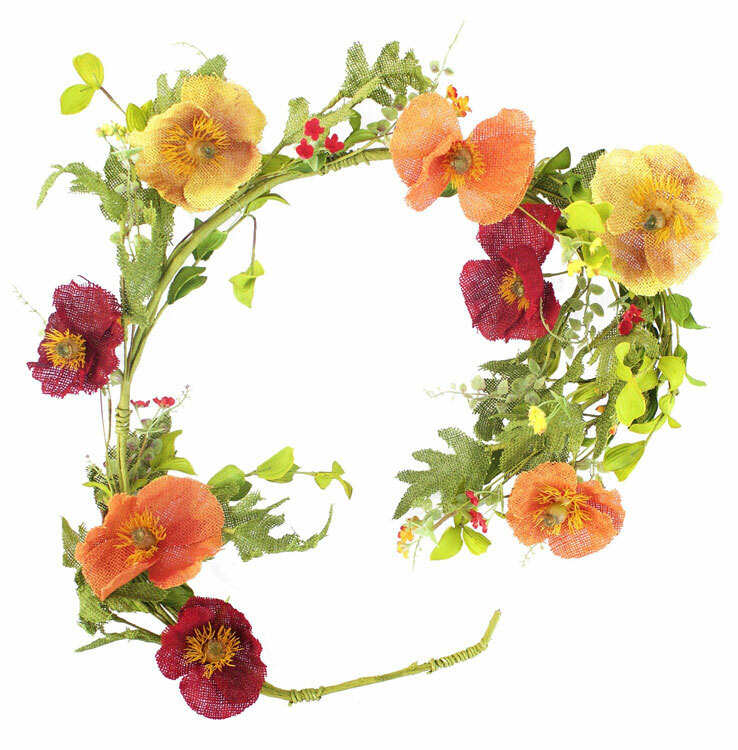 You could also use a grape garland , or get some individual silk poppies and twine them together to make a garland. 4. Chunky green necklace . This is a wonderful necklace for an earth goddess: it has green globes, flowers, and little clusters that look like berries. 5. Wheat wreath . 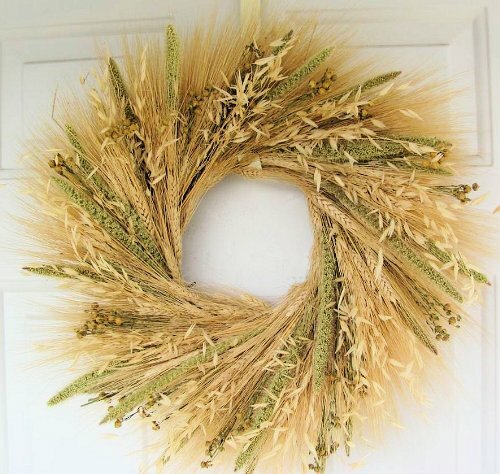 Wheat wreaths like this are usually available in the stores in fall. If you get one with a metal base you’ll probably want something to cushion it on your head. Top row, left to right: Wheat stalks. Red poppies. Birch branches with orange berries. 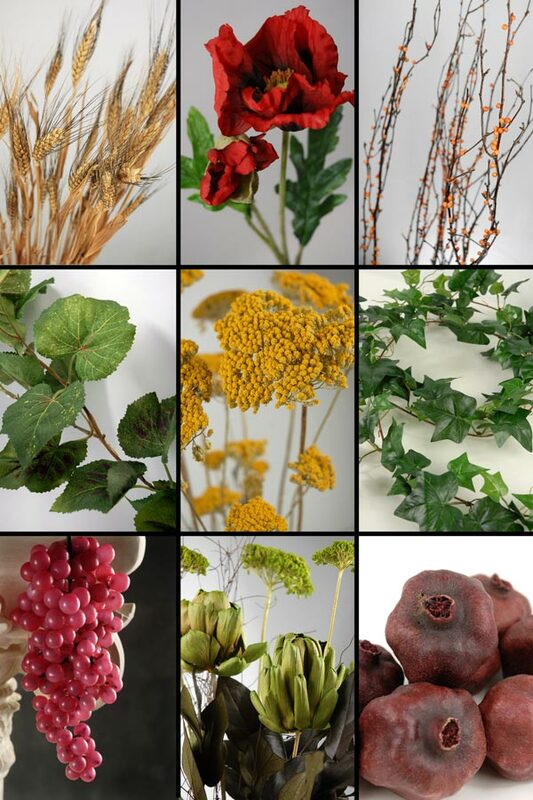 Middle row, left to right: Grape leaf garland. Yarrow. Ivy garland. Bottom row, left to right: Grapes. Artichokes. Pomegranates. Illustration credits: The painting in our main illustration is Demeter and Persephone Throwing Seeds upon the Earth by Theodore Manolides. The large statue of Demeter holding a cornucopia is from the Museo Pio-Clementino, Musei Vaticani, Vatican City. The round image is a modern copy of an 18th century relief in the Versailles Municipal Library, France.